Previously, an offer of employment was considered sufficient consideration for a new employee’s agreement not to compete or solicit. According to the appeals court, a non-competition or non-solicitation agreement for a new employee will be enforceable only if the employee has two years of continued employment or there’s some additional consideration above and beyond the initial offer of employment. The court didn’t elaborate on what “additional consideration” would make such an agreement enforceable. To ensure that a new employee’s non-competition and non-solicitation agreements are enforceable, Illinois employers should consider offering some sort of monetary payment or employment benefits to that new employee in exchange for those agreements. Appellate court reversed trial court’s grant of summary judgment to defendant attorney on basis that he had no duty to client’s son, the sole beneficiary of a trust. Attorney purportedly negligently advised client to transfer three properties from a trust into a non-existent sub-trust. Client died and client’s second wife claimed a community property interest in the three properties in probate. Client’s son, the sole trust beneficiary, settled the probate action and sued attorney. The appeals court noted that “It is now well-established that an attorney may be held liable to the beneficiary if: (1) the attorney’s professional negligence frustrates the testamentary intent in a legal instrument, and (2) the ‘beneficiaries clearly designated by the testator lose their legacy as a direct result of such negligence.’”. The court determined that the father intended that the property go to his son and that the son didn’t receive all that he was supposed to receive because of the probate settlement. Iowa appeals court affirmed defense verdict in legal malpractice trial. LLC #1 and its individual members sued attorney that represented LLC #2 in an investment deal. LLC #1 was a member of LLC #2. LLC #1 and its members alleged that attorney owed them a duty to obtain releases of guarantees made by LLC #1 and its individual members. Trial court held that neither LLC #1 nor the individual members had standing to sue LLC #2’s attorney. Attorney only owed a duty to LLC #2, not its member, LLC #1, or LLC #1’s members. Grant of summary judgment to professional liability insurer affirmed on appeal. Insurer filed a declaratory action seeking a judgment that a breach of fiduciary duty claim filed against Insured during the 2009 policy period was related to legal malpractice claims filed against Insured during the 2008 policy period, and, thus, only the 2008 policy applied. The legal malpractice claims filed in the 2008 policy period arose from an $11 million real estate deal gone bad. The breach of fiduciary duty claim filed in 2009 policy period was for Insured’s failure to disclose to its client that it only had $250,000 of insurance coverage. The 2008 and 2009 policies contained “an explicitly-stated non-exhaustive list of ‘a series of related acts or omissions that constitute a single Claim under the Policy where a single Limit of Liability will apply[. ]’ This list includes ‘[a]ll activities pertaining to a real estate transaction[.]’”. While “related” was not defined in either policy, the court found that “related” was not ambiguous, the breach of fiduciary duty claim was related the initial legal malpractice claims, and, thus, only the 2008 policy applied. 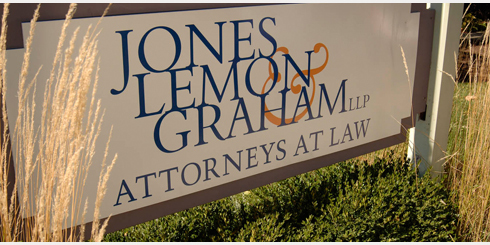 Carolina Casualty’s legal malpractice action arose from an underlying legal malpractice claim. The Insured law firm’s defense counsel negotiated a high-low agreement in the underlying litigation under which the plaintiff could recover at most the remaining policy limits and at worst $100,000 even if there was a defense verdict. The judgment exceeded remaining policy limits and the high-low agreement was found unenforceable. While an appeal was pending, the parties agreed on a second high-low agreement with a low amount of $1.75 million. The Insured prevailed on appeal, but was liable for $1.75 million under the second high-low agreement. Carolina Casualty paid the judgment and sued defense counsel for legal malpractice arguing it would’ve only had to pay $100,000 if the first high-low agreement was enforceable. The court granted summary judgment to Carolina finding it had standing to sue because privity existed between Carolina and defense counsel prior to the first high-low agreement as their interests were aligned. While the court denied Carolina summary judgment on the issue of breach, the court did grant summary judgment to Carolina on the issue of causation because the second high-low agreement was a foreseeable result of the first unenforceable high-low agreement. Will Illinois employers be forced to permit firearms in their parking lots under Illinois Concealed Carry Act? Governor Quinn used his amendatory veto powers yesterday to reject portions of the proposed Illinois Concealed Carry Act, including the part that would allow employees with concealed carry permits to have firearms in their own vehicle in a parking lot and to store and retrieve their guns in the “immediate area” of their vehicle. It remains to be seen whether Illinois employers will be able to completely prohibit employees from having firearms at work, including in parking lots, under the concealed carry law that ultimately goes into law. Illinois employers accordingly may want to consider a policy on firearms to specifically address employee’s rights regarding firearms in the workplace. The requirement that employers with 50 or more full-time employees provide health insurance or risk being fined has been postponed from January 1, 2014 to January 1, 2015. This requirement, according to the Obama administration, can only work if businesses accurately report to the government about their employees’ insurance coverage. The administration has suggested that changes will be made to Obamacare to make it easier for employers’ to report on their employees’ healthcare coverage. But there’s nothing to suggest that employers with 50+ employees won’t be facing this mandate in 2015.